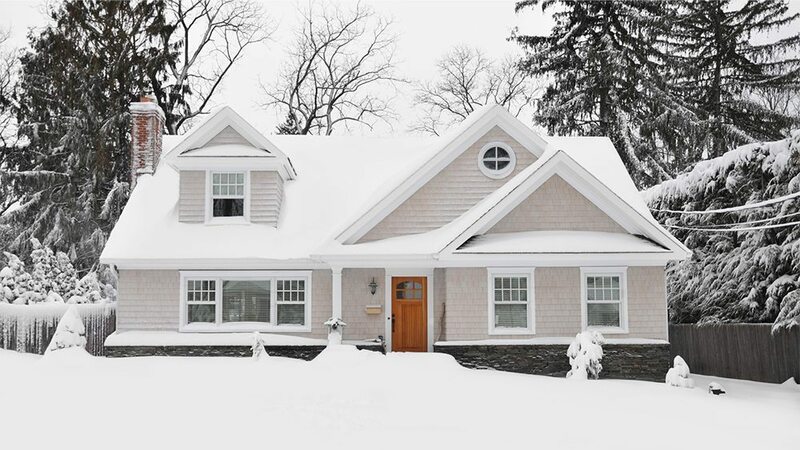 Home / Modern Pest Blog / Will This Winter Freeze Out Frustrating Pests? Will This Winter Freeze Out Frustrating Pests? You always hear about how bugs can’t survive the winter and die in droves as the temperatures dip in Wakefield, Massachusetts, and the surrounding New England area. But what actually happens to pests when the weather outside is frightful? What does it take to lower the population during next year’s thaw? Exactly how does weather affect bugs like fleas, ticks, spiders and flying insects? Modern Pest Control shares it all, explaining what bugs are resilient to what temperatures, and what conditions are needed to handle rising populations. The average temperature in a Wakefield winter is anywhere from 40 degrees for a high and 15 degrees for the low. It starts to dip in December, gradually getting colder in January and February, before a really slow warm-up happens at the beginning of spring. Bad news: None of this by itself is enough to kill most bugs. What you need is a continuous stream of very cold air to start to kill off pests like fleas and ticks, who tend to be above-ground survivors. For fleas and ticks, the temperatures must be below 30 degrees for five days or more; that means daytime temperatures, too. Sure, a hard, fast freeze will wipe out a small portion of some insects, but most will survive. A great example is the Polar Vortex we experienced a few winters ago. It did little to control pest populations, and while it had a significant impact on stinkbugs and ash borers, the invasive species eventually rebounded. Sometimes when the cold hangs on past April, as it can around Wakefield and other parts of Maine, it will take bugs longer to come out of their burrows – which only makes it seem like they weren’t as bad that year. And that is just affecting those who brave the outdoors; there are plenty more who find trees, shrubs, homes and other buildings to hibernate in for the winter. The ticks mentioned above and fleas will often find warmth and an endless buffet in homes, riding out the winter till the weather warms up outside. The same can be said for termites, who are very sensitive to cold weather. But as long as they move to deeper parts of the soil, they can survive. This is when termite control can be called in to set up a plan for the following spring. In and of itself, pests can easily survive snow. Many flying insects such as wasps burrow in and if adequately protected, will never have to deal with the cold temperatures or layers of snow. Honey bees stick together, buzzing in place inside the hive to produce heat, without ever stepping wing outside. Bumblebee queens will hibernate in a rock or tree. As long as a big freeze with lots of ice and snow doesn’t happen before a somewhat gradual cool down, these pests will survive just fine. Some pests like deer ticks and black-legged ticks can become more active in colder temperatures – as long as there is humidity around. When we experience frigid, dry winters, then bugs like these have a much harder time sustaining their numbers. But with snow around, these ticks thrive. That’s why vets suggest winter is a great time for treating ticks and fleas, when their numbers and strength are down, and their eggs have yet to hatch. Many insects produce something much like antifreeze into their bodies. This causes them to enter a state called “diapause,” similar to hibernation but they don’t burrow. When temperatures go from freezing to melting and back to freezing, ice crystals form within cells and rupture them. It can happen more than once before it kills a bug, so repeated fluctuation must occur. Much like an early hard frost, a late spring frost can have the same impact on insects. When the temperatures start to rise slowly, it can indicate to insects that it’s time to come out of hibernation or burrowing and get back to work. If the unseasonably warm weather happens, then quickly plummets back down to below freezing temperatures, the insects that were lulled out by the promise of sun and warm air will quickly die. Regardless of the impact winter has on pests, we can all agree that the few months’ respite from endless mosquitos, ticks, wasps and other pests is a much-needed relief. If you’re not so lucky and the surviving pests have made a home with you, give Modern Pest Control a call to schedule a free estimate. We’ll take care of the pest problem so you can get back to enjoying the break with your friends and family all season long!